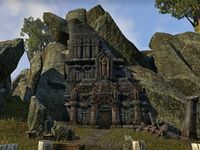 The brazen doors of this Dwarven site slide open smoothly and without hesitation, mute testimony to the uncanny skill of the Dwemeri engineers who built them ages ago. Perhaps the rest of the site will be in good repair as well. 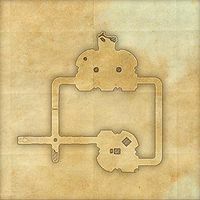 Lower Bthanual is a Dwemer ruin in central Deshaan, just north of the monastery at Muth Gnaar containing Dwemer constructs. The lorebook Dwemer Dreams can be found here. Explore and clear Lower Bthanual.